A card made with the Trendy trees Stamp set by Stampin Up. 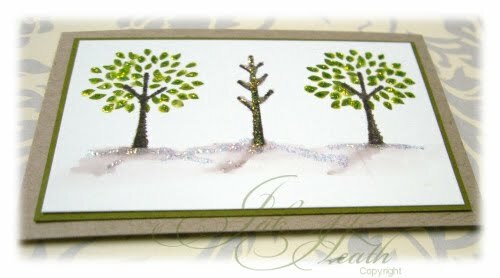 I was actually sitting in my craft room testing out a new light fitting whilst making this card. Did you know that you can get a Daylight Strip Fitting light? I didn't until around a week ago. It looks like a slimline fluorescent tube and it isn't at all expensive, A 4 foot slimline tube for around £6 I took this picture of the card under the same light, very impressed with it. 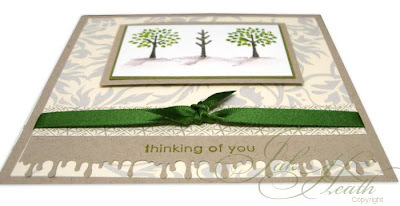 I punched the border from the same Kraft card that I used for the base then used the reverse side of the paper and cut a strip and glued this across the top of the border, I then tied a green ribbon around it before stamping the sentiment then stuck this near the bottom of the card. I left a bit of interest by leaving one of the trees bare, the leaves and the trunks of the trees are separate in this set. I used a Koi water brush to drag some of the colour from the base of the trunks to add shadow then topped with a bit of glitter to add a bit of bling. 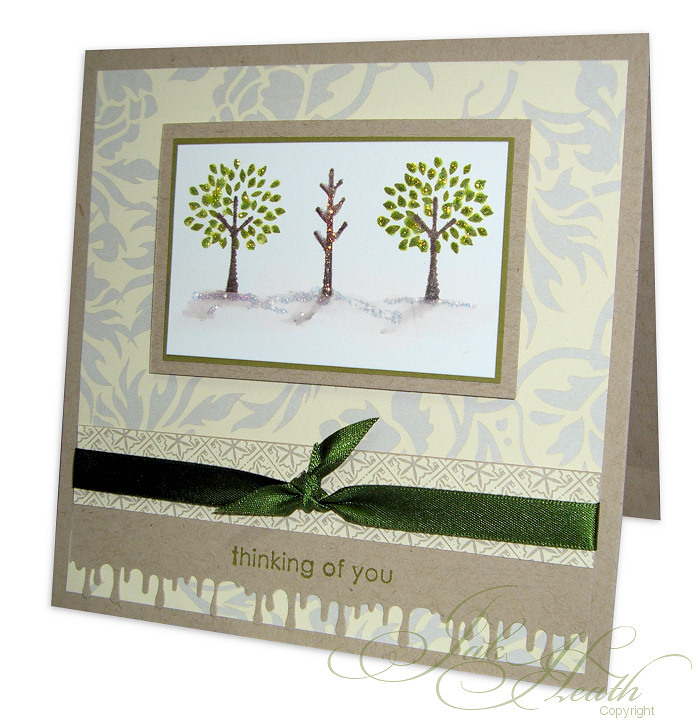 Fantastic tree card Jak, just love the bare tree in the middle of the others, what a great idea to do it that way. Love that punch too. Such a wonderful card Jak! Absolutly gorgeous, what a brilliant way of using this set. Lovely and unique, great colours too! Beautiful Jak jsut as it is . Oh, beautiful card; great photo with your new light!! !